A hospitality industry job fair was held at Opry Mills on Wednesday as businesses looked to fill hundreds of open positions in the tourism and convention sectors. 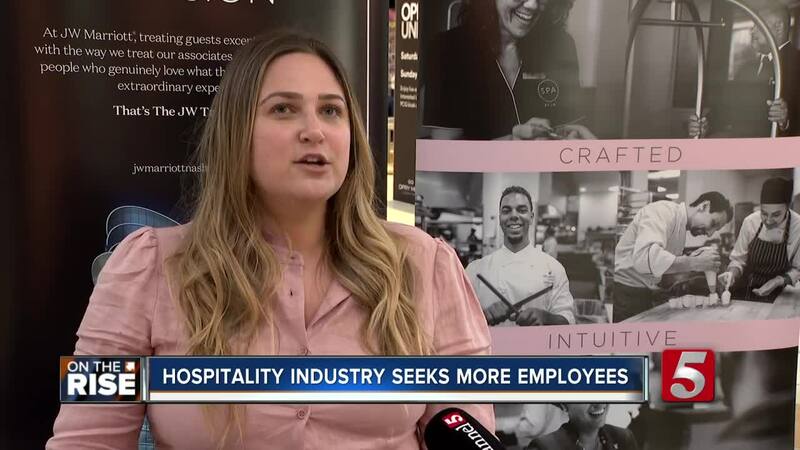 NASHVILLE, Tenn. — A hospitality industry job fair was held at Opry Mills on Wednesday as businesses looked to fill hundreds of open positions in the tourism and convention sectors. Those who missed the job fair can still find job openings in the hospitality industry through the Nashville Convention & Visitors Corp. website .